KUWAIT (Reuters) – OPEC and allied oil producers are ready to hold an extraordinary meeting and will do what is needed if the current cut in oil output by 1.2 million barrels per day does not balance the market next year, the United Arab Emirates’ energy minister said on Sunday. Extending the output pact signed in early December will not be a problem and producers will do as the market demands, Suhail al-Mazrouei told a news conference at a gathering of the Organization of Arab Petroleum Exporting Countries (OAPEC) in Kuwait. “The plan (to cut oil production) is well studied but if it does not work, we always have the power in OPEC to call for an extraordinary meeting,” he added. “If we are required to extend for (another) six months, we will do it … I can assure you an extension will not be a problem.” Mazrouei was speaking at a joint news conference with the Iraqi and Algerian energy ministers as well as Kuwait’s OPEC governor, Haitham Al-Ghais. Saudi Arabia’s OPEC governor, Adeeb Al-Aama, who attended the OAPEC meeting, said oil market oversupply had fallen to 37 million barrels of crude in November from 340 million barrels in January 2017, when OPEC and its allies began cutting production in an attempt to lift prices. The Iraqi minister, Thamir Ghadhban, said there was an expectation that the output cut decision could be renewed, adding that Iraq would be willing to extend the production agreement in April. OPEC is set to hold its next oil output policy decision meeting that month in Vienna. London — OPEC kingpin Saudi Arabia has pledged to lower its crude oil output to 10.311 million b/d — a 322,000 b/d cut from its October level — according to a breakdown of member quotas under the producer group’s supply accord obtained by S&P Global Platts. Iraq, OPEC’s second highest producer, will cut 141,000 b/d to reach an output level of 4.512 million b/d and the UAE will cut 96,000 b/d to average 3.072 million b/d, according to the document prepared by OPEC’s secretariat. OPEC, Russia and nine other non-OPEC allies agreed earlier this month to a combined 1.2 million b/d supply reduction for the first six months of 2019 to shore up what many expect to be weakening market fundamentals ahead. The document shows that OPEC will shoulder 812,000 b/d of those cuts, while the non-OPEC participants will cut 383,000 b/d. Saudi energy minister Khalid al-Falih has already pledged that the kingdom’s production will fall to 10.2 million b/d in January, exceeding its commitment. Russia, the largest non-OPEC participant, has previously said it committed to reduce its production gradually by 230,000 b/d. The document says Russia’s quota under the deal is 11.191 million b/d. Russian energy minister Alexander Novak said his country would lower its output by 50,000 to 60,000 b/d in January. The agreement exempts OPEC members Libya, Iran and Venezuela. For the other 11 OPEC countries, the cuts represent a 3.04% reduction from the baseline October levels, as determined by an average of six independent secondary sources, except for Kuwait, which was given a September benchmark due to bad weather that impacted its production in October. The non-OPEC countries are also using October as their baseline, except for Azerbaijan, which is using September, and Kazakhstan, which is using November. WASHINGTON (AP) — President Donald Trump appeared Tuesday to back off his demand for $5 billion to build a border wall, signaling for the first time that he might be open to a deal that would avoid a partial government shutdown. The White House set the tone when press secretary Sarah Huckabee Sanders indicated that Trump doesn’t want to shut down the government, though just last week he said he’d be “proud” to do so. The president would consider other options and the administration was looking at ways to find the money elsewhere, Sanders said. It was a turnaround after days of impasse. Without a resolution, more than 800,000 government workers could be furloughed or sent to work without pay beginning at midnight Friday, disrupting government operations days before Christmas. One option that has been circulating on Capitol Hill would be to simply approve government funding at existing levels, without a boost for the border, as a stopgap measure to kick the issue into the new Congress next month. The chairman of the Appropriations Committee, Sen. Richard Shelby, R-Ala., confirmed late Tuesday his office was preparing legislation to keep government funded, likely into February. The White House preference was for a longer-term package, although the conversation remained fluid and Trump has been known to quickly change course, said a person familiar with the negotiations but not authorized to discuss them by name. Trump’s inaugural committee has been probed by Mueller for illegal foreign donations, a topic that the incoming House Intelligence Committee chairman plans to further investigate next year. Two years after Donald Trump won the presidency, nearly every organization he has led in the past decade is under investigation.Trump’s private company is contending with civil suits digging into its business with foreign governments and with looming state inquiries into its tax practices. Trump’s 2016 campaign is under scrutiny by special counsel Robert S. Mueller III, whose investigation into Russian interference has already led to guilty pleas by his campaign chairman and four advisers. Trump’s charity is locked in an ongoing suit with New York state, which has accused the foundation of “persistently illegal conduct.” The mounting inquiries are building into a cascade of legal challenges that threaten to dominate Trump’s third year in the White House. In a few weeks, Democrats will take over in the House and pursue their own investigations into all of the above — and more. The ultimate consequences for Trump are still unclear. Past Justice Department opinions have held that a sitting president may not be charged with a federal crime. House Democrats may eventually seek to impeach Trump. 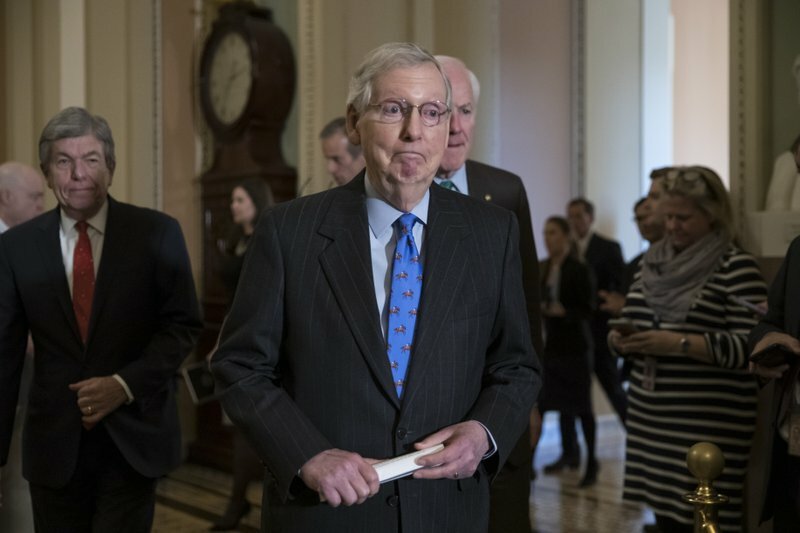 But, for now, removing him from office appears unlikely: It would require the support of two-thirds of the Senate, which is controlled by Republicans. However, there has been one immediate impact on a president accustomed to dictating the country’s news cycles but who now struggles to keep up with them: Trump has been forced to spend his political capital — and that of his party — on his defense. On Capitol Hill this week, weary Senate Republicans scrambled away from reporters to avoid questions about Trump and his longtime fixer Michael Cohen — and Cohen’s courtroom assertion that he had been covering up Trump’s “dirty deeds” when he paid off two women who claimed they had affairs with the president before he was elected. The stars of the biggest hedge funds are losing their shirts as analysts fear a major financial wipeout is imminent.From Ken Griffin’s Citadel, to Israel Englander’s Millennium Management, one big name after another is racking up negative returns lately, amid bad bets in a saturated market. “Some sectors of the fund industry are crowded and competing with other investment vehicles,” said Nicholas Tsafos at EisnerAmper, who advises hedge funds.There’s also a wide disparity lately in returns among managers chasing similar investment strategies. “That alone should cause the number of closures to increase, as bad managers get fired and money is recirculated into those managers that do better,” said Don Steinbrugge, managing partner at Agecroft Partners, a hedge fund consulting and marketing firm. As hedge funds fall like dominoes (and returns underperform the S&P 500), managers also blame a sharp rise in stock market volatility and low interest rates. Although there are still more launches than failures — and as new money was infused into hedge funds in the first half of 2018 — nervous investors have pulled $10.1 billion from hedge funds through October, according to eVestment. “We remain bearish, as investor positioning does not yet signal ‘The Big Low’ in asset markets,” said Michael Hartnett, chief investment strategist at Merrill Lynch, summing up overall investor sentiment in the firm’s latest fund survey. Analysts are forecasting a surge in redemptions, especially toward year end, as more clients pull money out of losing funds. The news is hardly good for a parade of managers at some of the biggest hedge funds. According to industry reports, November was a bone-crushing month for David Einhorn’s Greenlight Capital, which saw a 3.6 percent loss; Steve Cohen’s Point72 Asset Management, which took a 5 percent hit; Citadel, which absorbed a 3 percent loss; Millenium Management, which ran into the red by 2. 8 percent; and Dmitry Balyasny’s Atlantic Global Fund, with a decline of 3.9 percent and firm-wide job cuts of 125 after losses and withdrawals eliminated $4 billion in assets. And each day brings more depressing news. Most recently, hedge fund closures included Brenham Capital, Brenner West Capital Partners, Tourbillon Capital Partners LP, Highfields Capital Management and Criterion Capital Management. After flooding the US market with oil in recent months, Saudi Arabia reportedly plans to downgrade exports of crude oil. US-based oil refiners were told to expect a much lower shipment from Saudi Arabia in January than in recent months, following the OPEC agreement to reduce production, sources briefed on the plans of state oil company Saudi Aramco told Bloomberg. The shipments apparently could hit a 30-year low set in late 2017 of 582,000 barrels a day, which is 40% less than the recent three-month average, sources added on condition of anonymity, as the information they are providing has not been made public. According to sources, Riyadh hopes to show the market it is making good on its promise to cut supplies following the OPEC decision. The shift in crude exports to the US could potentially have a huge impact on the market because data are available on a weekly basis, while in other regions oil traders only receive official figures on a monthly basis, or not at all. The Saudi energy ministry did not provide any official comment. The decision to cut supplies would demonstrate that Saudi Arabia is sincere with its promise to bring supply and demand in line, yet it might also lead to a conflict of interests with US President Donald Trump, who repeatedly posted on Twitter his demand that OPEC maintain its current levels of supply. Total Saudi oil exports are expected to drop by 1 million barrels a day in January, down from about 8 million barrels a day in November-December, sources said. Khalid Al-Falih, the Saudi energy minister, told reporters last week that Saudi production will eventually drop in January to 10.2 million barrels a day, down from 11.1 million barrels a day in November. The export cuts, if they are to be implemented, will affect big US refiners such as Valero Energy Corp., Phillips 66, Chevron Corp., Exxon Mobil Corp., and Marathon Petroleum Corp., forcing them to find other exporters in Mexico, Canada or Venezuela. Saudi’s supply to the US has been 860,000 barrels of crude a day on average so far this year, according to Bloomberg calculations based on weekly customs data, hitting its highest average of 975,000 barrels a day in July-December. MOSCOW (Sputnik) – US President Donald Trump has expressed concern about the possibility of being impeached, CNN reported, citing a source close to Trump. According to the source, Trump believes that impeachment is a “real possibility” after the House of Representatives comes under the control of the Democrats. Another source told the media that Trump’s aides believed that the only problem that might lead to impeachment is the allegations of Trump’s involvement in violating campaign finance rules in the case of Cohen, who brokered the silence of Trump’s mistresses. Additionally, White House officials do not believe that the Robert Mueller-led investigation into the alleged ties between Trump and Russia could lead to the president’s being impeached. Earlier this week, Jerry Nadler, a democratic representative from New York’s 10th Congressional District in the US House of Representatives, said that claims about Trump tasking his former lawyer Michael Cohen with making illegal hush payments to women, who allegedly had affairs with Trump, might result in “impeachable offences” if proven true. Last week, Cohen pleaded guilty to charges of lying to the US Congress about plans to build a Trump-branded real estate project in Moscow. Cohen’s attorneys asked a judge for no jail time for their client, citing his cooperation in the probe into Russia’s alleged role in the 2016 presidential election. Cohen should be sentenced next week in New York. Moscow has repeatedly refuted accusations of meddling in US elections. MILAN (Reuters) – The European Commission is willing to accept an increase in Italy’s deficit target to 1.95 percent for next year, daily newspaper La Repubblica said on Tuesday. The EC has rejected Rome’s draft budget which says the deficit will rise to 2.4 percent of gross domestic product (GDP) in 2019 from 1.8 percent this year. Brussels says it breaks previous commitments to reduce borrowing and will not lower Italy’s large public debt. Italy’s Finance Minister Giovanni Tria is pushing the government to reduce its deficit target to 2.0 percent, to find a compromise with Brussels and avoid a procedure over the country’s budget, La Repubblica added. Rome has in recent weeks shown willingness to reduce the deficit target. But it remains unclear how far it plans to go. Italy’s Prime Minister Giuseppe Conte will meet the commission’s president Jean-Claude Juncker on Wednesday in an attempt to avoid the procedure which would keep Italy under prolonged market pressure and could lead to fines, cuts of EU funds and other financial sanctions. (Reuters) – The S&P 500 fell to an eight-month low on Monday as Apple Inc, as well as financial and healthcare sectors led losses on mounting worries over global growth, the U.S.-China trade war and uncertainty over Britain’s exit from the European Union. The S&P and the Dow Industrials, already in the red for the year after shedding more than 4.5 percent last week, fell over 1 percent. The Nasdaq reversed after an earlier bounce to drop about 0.5 percent. Markets have been dogged by signs of cooling global growth, concerns over interest rates and worries that escalating tensions between the United States and China could scuttle a fragile trade truce. “You have political tensions with China, the potential for slowing global growth, and other geopolitical tensions, that continue to weigh on the markets,” said Charlie Ripley, senior investment strategist for Allianz Investment Management. All the 11 major S&P sectors were lower. The biggest drag on the market was a 2.5 percent drop in financials as the U.S. Treasury yields dropped further on worries over U.S.-China trade conflict and the Brexit turmoil. [US/] British Prime Minister Theresa May said she was delaying a planned vote in parliament on her Brexit deal as it was set to be rejected “by a significant margin”. The rate-sensitive bank stocks tumbled 3.22 percent on worries that Brexit could hamper global growth, giving the Federal Reserve more reason to slow its pace of interest rate hikes. “If the Fed is slowing, that means economic activity is below normal and that can negatively impact earnings,” said Paul Nolte, portfolio manager at Kingsview Asset Management in Chicago. JPMorgan Chase & Co, Wells Fargo & Co, Citigroup Inc and Bank of America Corp fell over 3 percent. 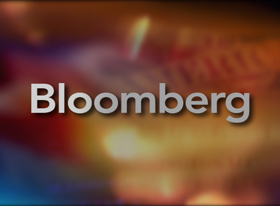 Energy stocks retreated 3.1 percent, as oil prices fell. Global pharmaceutical stocks weighed the most on the health index, which fell 1.3 percent and led losses among the seven sectors that were down over 1 percent. Apple dropped 2.1 percent after Qualcomm Inc said it had won a preliminary order from a Chinese court banning the import and sale of several iPhone models in China due to patent violations. (Bloomberg) — The tumult of personnel turnover that’s come to characterize Donald Trump’s administration is suddenly posing a major problem — just as his presidency enters an especially risky phase. The president lacks an immediate successor for Chief of Staff John Kelly following his announcement on Saturday that the retired Marine general would leave the White House. Trump’s failure to line up a replacement before abruptly announcing Kelly’s departure to reporters sets up a potentially chaotic transition for a job crucial to maintaining a semblance of stability under a commander-in-chief famed for his unpredictability, Jennifer Jacobs and Margaret Talev write. 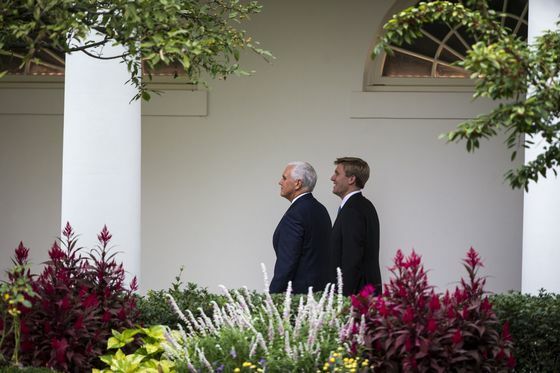 The president said yesterday evening that he was interviewing chief-of-staff candidates after Vice President Mike Pence’s top aide, Nick Ayers, turned him down. But Ayers’s rejection of Trump’s overtures hints at the challenge whoever assumes the post will face. Kelly’s successor must help Trump deal with the new Democratic House majority — some members of which would like to see the president impeached — as well as the next phases of Special Counsel Robert Mueller’s probe into alleged Russian election meddling. Added to those are the demands of navigating the 2020 reelection campaign. For U.S. allies in Europe, Asia and beyond, Kelly’s departure means there’s one fewer of the so-called adults in the room to constrain Trump.
. Russian Energy Minister Alexander Novak confirmed the combined output cuts of 1.2 million bpd, saying that the market will be oversupplied through the first half of the year. NEW YORK (Reuters) – Oil prices jumped more than 4 percent on Friday as Saudi Arabia and other producers in OPEC, as well as allies like Russia agreed to reduce output to drain global fuel inventories and support the market. The Organisation of the Petroleum Exporting Countries and its Russia-led allies, referred to as “OPEC+,” agreed to slash production by a combined 1.2 million barrels per day from 2019, larger than the minimum 1 million bpd that the market had expected, despite pressure from U.S. President Donald Trump to reduce the price of crude. The producer club will curb output by 800,000 bpd from January while non-OPEC allies contribute an additional 400,000 bpd of cuts, Iraqi Oil Minister Thamer Ghadhban said after OPEC concluded two days of talks in Vienna. Russian Energy Minister Alexander Novak confirmed the combined output cuts of 1.2 million bpd, saying that the market will be oversupplied through the first half of the year. Harry Tchilinguirian, global oil strategist at BNP Paribas in London told the Reuters Global Oil Forum. Oil prices have plunged 30 percent since October as supply has surged and global demand growth has weakened. Prices fell almost 3 percent on Thursday after OPEC ended a meeting in Vienna with only a tentative deal to tackle weak prices. Talks with other producers were held on Friday. But Iran gave OPEC the green light on Friday to reduce oil output after finding a compromise with rival Saudi Arabia over a possible exemption from the cuts, an OPEC source said. Oil output from the world’s biggest producers – OPEC, Russia and the United States – has increased by 3.3 million bpd since the end of 2017 to 56.38 million bpd, meeting almost 60 percent of global consumption. The surge is mainly due to soaring U.S. oil production C-OUT-T-EIA, which has jumped by 2.5 million bpd since early 2016 to a record 11.7 million bpd, making the United States the world’s biggest producer. Trump has asked OPEC to keep prices low, pleading with the Saudis in twitter messages. Russia had initially balked at cutting production alongside OPEC. America turned into a net oil exporter last week, breaking almost 75 years of continued dependence on foreign oil and marking a pivotal — even if likely brief — moment toward what U.S. President Donald Trump has branded as “energy independence.”The shift to net exports is the dramatic result of an unprecedented boom in American oil production, with thousands of wells pumping from the Permian region of Texas and New Mexico to the Bakken in North Dakota to the Marcellus in Pennsylvania. While the country has been heading in that direction for years, this week’s dramatic shift came as data showed a sharp drop in imports and a jump in exports to a record high. Given the volatility in weekly data, the U.S. will likely remain a small net importer most of the time. “We are becoming the dominant energy power in the world,” said Michael Lynch, president of Strategic Energy & Economic Research. “But, because the change is gradual over time, I don’t think it’s going to cause a huge revolution, but you do have to think that OPEC is going to have to take that into account when they think about cutting.” The shale revolution has transformed oil wildcatters into billionaires and the U.S. into the world’s largest petroleum producer, surpassing Russia and Saudi Arabia. The power of OPEC has been diminished, undercutting one of the major geopolitical forces of the last half century. The shift to net exports caps a tumultuous week for energy markets and politics. OPEC and its allies are meeting in Vienna this week, trying to make a tough choice whether to cut output and support prices, risking the loss of more market share to the U.S. “The week started with Qatar leaving OPEC; then a mysterious U.S.-Saudi bilateral meeting in Vienna; followed by a canceled OPEC press conference, and now the latest news that the U.S. turned last week into a net petroleum exporter,” said Helima Croft, commodities strategist at RBC Capital Markets LLC and a former analyst at the Central Intelligence Agency. The U.S. sold overseas last week a net 211,000 barrels a day of crude and refined products such as gasoline and diesel, compared to net imports of about 3 million barrels a day on average so far in 2018, and an annual peak of more than 12 million barrels a day in 2005, according to the U.S. Energy Information Administration. The EIA said the U.S. has been a net oil importer in weekly data going back to 1991 and monthly data starting in 1973. Oil historians that have compiled even older annual data using statistics from the American Petroleum Institute said the country has been a net oil importer since the mid-1940s, when Harry Truman was in the White House. U.S. crude exports are poised to rise even further, with new pipelines from the Permian in the works and at least nine terminals planned that will be capable of loading supertankers. The only facility currently able to load the largest ships, the Louisiana Offshore Oil Port, is on pace to load more oil in December than it has in any other month. The massive Permian may be even bigger than previously thought. The Delaware Basin, the less drilled part of the field, holds more than twice the amount of crude as its sister, the Midland Basin, the U.S. Geological Service said Thursday. While the net balance shows the U.S. is selling more petroleum than buying, American refiners continue to buy millions of barrels each day of overseas crude and fuel. The U.S. imports more than 7 million barrels a day of crude from all over the globe to help feed its refineries, which consume more than 17 million barrels each day. In turn, the U.S. has become the world’s top fuel supplier. JERUSALEM — Israel started a military operation on Tuesday to expose and thwart offensive tunnels Hezbollah had been building across the Lebanese border, the military said, the first time that Israel has taken open action to combat underground passageways in the north. The effort, called Operation Northern Shield, was aimed at an unspecified number of tunnels in the area of Metula, said Lt. Col. Jonathan Conricus, A spokesman for the Israel Defense Forces. None of the tunnels were ready to be used, he said, and the army was neither asking civilians in the area to evacuate nor calling up reserves. But it declared an area around Metula, in the northernmost reaches of the Galilee panhandle, a closed military zone and said it had “enhanced its presence and readiness” in the north and was “prepared for various scenarios.” Prime Minister Benjamin Netanyahu said the early stages of the operation had already proven successful. “Whoever tries to harm the state of Israel will pay a heavy price,” he said in a statement. He added that Israel would continue to act, “openly and covertly, to ensure the security of Israel.” Brig. Gen. Ronen Manelis, the chief military spokesman, said Israel was prepared for a “broad operation over several weeks.” It was expected to extend beyond the Metula area, along the border. The military also warned Hezbollah and soldiers of the Lebanese Army to stay away from the tunnels, saying their lives were in danger, though the Israeli Foreign Ministry emphasized that the operation was taking place on the Israeli side of the border, within Israeli territory. With the winding down of the civil war in neighboring Syria, Israel appears to have increasingly shifted its focus to Lebanon. Hezbollah, the Lebanese Shiite organization backed by Iran, has been fighting for years against insurgent groups in Syria to defend the rule of President Bashar al-Assad, and Israel has been working intensively to prevent Iran’s efforts to entrench itself in Syria. But Israel has also been warning in recent months of Iranian efforts to strengthen Hezbollah in Lebanon, making a conflagration seem only a matter of time. While Israeli experts said the action against the tunnels could lead to an escalation, it was not immediately clear if, or how, Hezbollah would respond. “Now the ball is in the Hezbollah court,” said Yaakov Amidror, a former Israeli national security adviser and retired general. “They can react and the reaction to their reaction might be devastating,” he told reporters on Tuesday, in an apparent effort to deter Hezbollah. Israeli officials have accused Iran of helping Hezbollah build underground factories in Lebanon to upgrade the militant group’s arsenal of missiles. In addition, Israeli news outlets have reported that Iran has been flying advanced weaponry directly to Beirut, bypassing overland routes through Syria that Israel has repeatedly bombed. VIENNA (Reuters) – OPEC and its allies are working towards a deal this week to reduce oil output by at least 1.3 million barrels per day, four sources said, adding that Russia’s resistance to a major cut was so far the main stumbling block. The logo of the Organization of the Petroleum Exporting Countries (OPEC) is seen at OPEC’s headquarters in Vienna, Austria June 19, 2018. REUTERS/Leonhard Foeger OPEC meets on Thursday in Vienna, followed by talks with allies such as Russia on Friday, amid a drop in crude prices caused by global economic weakness and fears of an oil glut due largely to a rise in U.S. production. The producer group’s de facto leader, Saudi Arabia, has indicated a need for steep reductions in output from January but has come under pressure from U.S. President Donald Trump to help support the world economy with lower oil prices. Possibly complicating any OPEC decision is the crisis around the killing of journalist Jamal Khashoggi at the Saudi consulate in Istanbul in October. Trump has backed Saudi Crown Prince Mohammed bin Salman despite calls from many U.S. politicians to impose stiff sanctions on Riyadh. The sources, three from the Organization of the Petroleum Exporting Countries and one from a non-OPEC producer, said the meetings were taking place in a difficult environment and that Russia’s position would be key in reaching a deal. “Russia is playing tough,” one of the OPEC sources said. Another OPEC source said: “The Saudis are working hard on the cut. But if Russia says no cut, then we (OPEC) won’t cut.” Russian sources have indicated the country could contribute some 140,000 bpd to a reduction, but Middle East-dominated OPEC insists Moscow cut by 250,000-300,000 bpd. Two sources said talks were focusing on a pro-rata cut of 3-3.5 percent from October output levels, with no exemptions for any member. Sources also said OPEC could delay a decision to cut if the main criteria such as Russia’s involvement were not met, even though doing so would mean a further fall in prices. “OPEC can always meet again in February, for example, and decide on a cut then. Those who were not able or willing to cooperate will be wanting to cut then,” one source said. Saudi Arabia previously insisted on a need to reduce production. It was unclear whether the apparent shift in position was caused by OPEC using negotiation tactics to bring Russia on board or by pressure from Trump to refrain from cutting output. US, China offer differing takes on trade ceasefire In October 2018, OPEC pumped 32.916 million bpd, while its non-OPEC allies pumped 18.252 million bpd, according to the group’s internal data. The non-OPEC source said a deal could still be done this week, though details remained unclear: “The Saudis and Russians have an agreement to cut. They are just working on the final details on the volumes and mechanisms.” Brent oil prices LCOc1 rose more than 2 percent on Tuesday, boosted by expectations OPEC would reduce output [O/R]. WASHINGTON — President Trump cast his Saturday meeting with President Xi Jinping of China as a huge win for the United States, insisting that American farmers and automakers would reap immediate benefits from a trade truce that has yet to produce any concrete commitments and created more questions than answers about what China is truly prepared to offer. Mr. Trump and Mr. Xi agreed during the G-20 meeting in Buenos Aires to pause the trade war between the world’s two largest economies for 90 days and work to resolve several areas of tension, including the trade gap between what America imports from China and what China buys from the United States. But nothing beyond their official statements exists and deep divisions remain, particularly related to China’s industrial policies and its treatment of American companies. That did not stop Mr. Trump from declaring victory for farmers, automakers and other key political constituencies in the wake of the meeting — statements that helped send volatile financial markets higher on Monday. Despite talk of a grand bargain, the meeting’s outcome has been clouded by conflicting signals from the White House over how long the truce will last, what commitments China actually made and the president’s tweets touting wins that others in his administration said did not technically exist. “Farmers will be a very BIG and FAST beneficiary of our deal with China,” Mr. Trump said in a Twitter post on Monday. “They intend to start purchasing agricultural product immediately. We make the finest and cleanest product in the World, and that is what China wants.” In a separate tweet late Sunday night, Mr. Trump said that China had agreed to reduce and remove tariffs on cars coming into China from the United States. The current tariff rate is 40 percent, which China reached in response to Mr. Trump’s tariffs on $250 billion worth of goods, and it was not clear to what level it would fall. ANCHORAGE, Alaska (KTUU) – Crews conducting inspections along the Trans-Alaska Pipeline have so far found no problems following Sunday’s M6.4 earthquake near Kaktovik. Mohammad Salman ‘probably ordered’ killing relies in part on 11 messages he sent to adviser who oversaw hit squad around time it killed journalist How did the CIA conclude that journalist Jamal Khashoggi was killed on the orders of Saudi Crown Prince Mohammed bin Salman? WSJ’s Warren P. Strobel has an exclusive look at the secretive evidence behind the assessment. Saudi Crown Prince Mohammed bin Salman sent at least 11 messages to his closest adviser, who oversaw the team that killed journalist Jamal Khashoggi, in the hours before and after the journalist’s death in October, according to a highly classified CIA assessment. The Saudi leader also in August 2017 had told associates that if his efforts to persuade Mr. Khashoggi to return to Saudi Arabia weren’t successful, “we could possibly lure him outside Saudi Arabia and make arrangements,” according to the assessment, a communication that it states “seems to foreshadow the Saudi operation launched against Khashoggi.” Mr. Khashoggi, a critic of the kingdom’s leadership who lived in Virginia and wrote columns for the Washington Post, was killed by Saudi operatives on Oct. 2 shortly after entering the Saudi consulate in Istanbul, where he sought papers needed to marry his Turkish fiancée. Excerpts of the Central Intelligence Agency’s assessment, which cites electronic intercepts and other clandestine information, were reviewed by The Wall Street Journal. The CIA last month concluded that Prince Mohammed had likely ordered Mr. Khashoggi’s killing, and President Trump and leaders in Congress were briefed on intelligence gathered by the spy agency. Mr. Trump afterward questioned the CIA’s conclusion about the prince, saying “maybe he did; and maybe he didn’t.” The previously unreported excerpts reviewed by the Journal state that the CIA has “medium-to-high confidence” that Prince Mohammed “personally targeted” Khashoggi and “probably ordered his death.” It added: “To be clear, we lack direct reporting of the Crown Prince issuing a kill order.” The electronic messages sent by Prince Mohammed were to Saud al-Qahtani, according to the CIA. Mr. Qahtani supervised the 15-man team that killed Mr. Khashoggi and, during the same period, was also in direct communication with the team’s leader in Istanbul, the assessment says. The content of the messages between Prince Mohammed and Mr. Qahtani isn’t known, the document says. It doesn’t say in what form the messages were sent. It is unclear from the excerpts whether the 2017 comments regarding luring Mr. Khashoggi to a third country cited in the assessment are from Prince Mohammed directly, or from someone else describing his remarks. Saudi Arabia has acknowledged Mr. Khashoggi was murdered in the consulate. But it has denied Prince Mohammed had any role and blamed the operation on rogue operatives. The Saudi Public Prosecutor’s office last month announced charges against 11 Saudis in connection with Mr. Khashoggi’s death, saying it would seek the death penalty in five cases. The office didn’t release their names. The U.S. Treasury Department in mid-November slapped sanctions on 17 Saudis whom it linked to the killing. But Mr. Trump, in a statement days later, said he intended to maintain strong relations with the crown prince because of Saudi Arabia’s opposition to Iran, its investments in the U.S. and its role in the oil market. The Trump administration’s posture has angered many in Congress, and the intercepts and intelligence gathered by the CIA may complicate Mr. Trump’s efforts to maintain relations with Prince Mohammed, the de facto leader one of the world’s biggest oil producers. The two are among the world’s leaders meeting this weekend in Buenos Aires for a summit of Group of 20 nations. Earlier this week, the Senate voted to begin consideration of a resolution to withdraw U.S. support for a Saudi-led military coalition fighting against Houthi rebels in Yemen, with senators venting their frustration over Mr. Trump’s reluctance to hold Prince Mohammed responsible for Mr. Khashoggi’s death.